From Bosch, the Advanced Rotak 750 is the quiet, accomplished and latest version of the Rotak range, delivering a class leading and outstanding product featuring the unique smooth sound profile of ProSilence reducing the sound power level by up to 75%. ProSilence: Never be caught out by loud lawnmowers again. 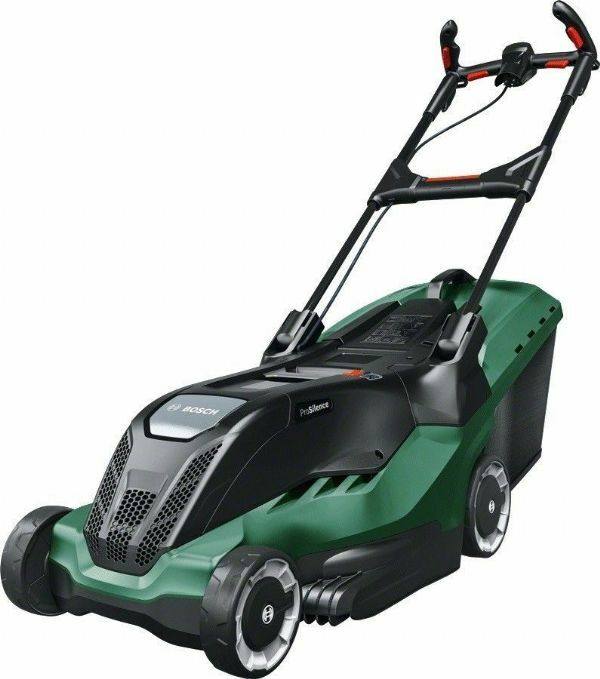 The smooth sound profile of the Bosch ProSilence prevents your lawnmower from disrupting your garden’s tranquillity by reducing its sound power level by up to 75% to 89 dB, while delivering an excellent finish. HOC (Advanced): Change the cutting height with total ease. The integrated system makes changing the cutting height of your mower easier than ever. A simple one button operation changes the height of cut from 20 to 80mm in 7 easy steps. 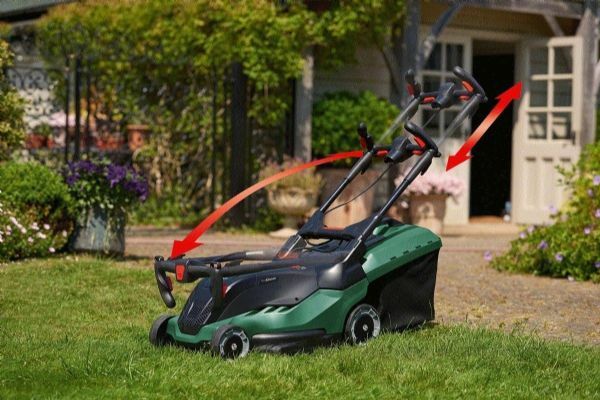 ErgoSlide (Advanced): Mow with less effort but maximum control. The Bosch ErgoSlide System allows you to manoeuvre your Rotak with ease and achieve your task quickly while being kinder to your back. The telescopic handle is easily set up, can be adjusted to your height to help you maintaining a good posture and reduces strain on your arms and back. Multiple switching allows for maximum comfort. 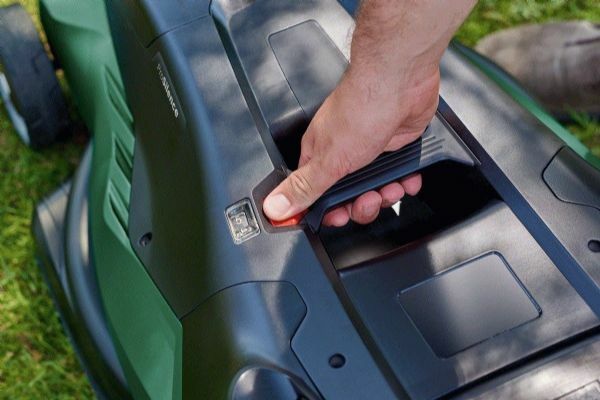 LeafCollect: Use your lawnmower to pick up autumn leaves effectively. The Bosch LeafCollect blade is specifically designed to deliver an excellent cut in spring, summer and autumn as well pick up autumn leaves from your lawn and shred them into the grassbox for easy disposal. 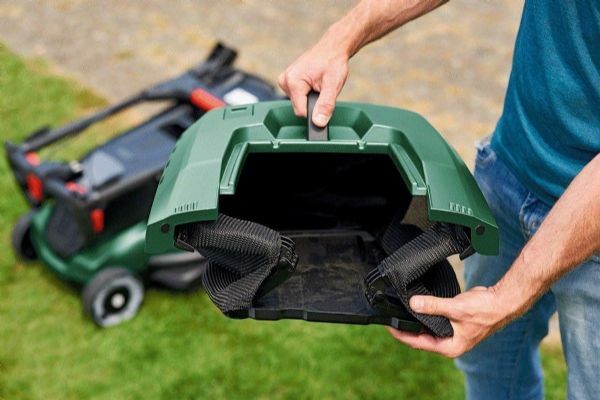 Foldable grassbag (Advanced): Store your grassbag with ease. The collapsible grassbag can easily be folded down for storage while delivering an impressive 50 litres of debris collection for less emptying. Smooth running (Advanced): Experience advanced stability while mowing your lawn. The Bosch composite bearings in connection with the high-tech rubber wheel coating provide for smooth running.